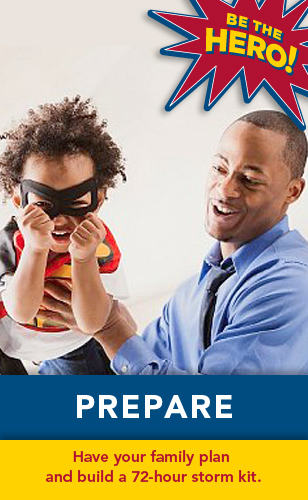 National Prep tip of the day: Create an emergency plan and build a 72-hour storm kit. Visit http://www.ready.gov/build-a-kit to learn how to build your kit today! This entry was posted in Hurricane Prep, Uncategorized by federalalliance. Bookmark the permalink.